This entry was posted in Health Insurance Blog on 03/21/2016 by admin. These days it seems a lot of people are becoming health conscious. But, are they altering their lunch menu with not-so-healthy choices? What you may think is healthy for you – may not be, at all. 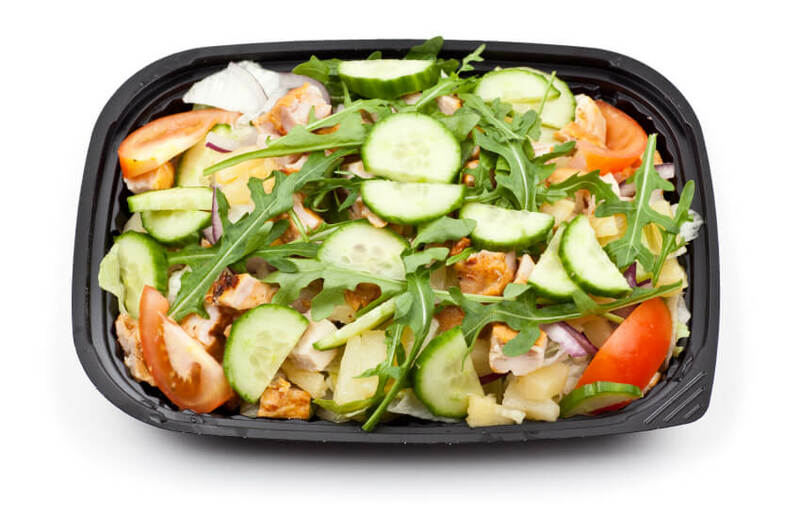 Running around the corner to grab a salad at the nearby fast food joint may not only be convenient, it may actually be unhealthy. As crushing as this news might be, you have to be aware that most fast food is exactly that – fast food. And, though you thought you were finally eating right by scarfing down pre-cut, refrigerated lettuce and grape tomatoes with low-fat dressing, you were going about it all wrong. Still, it must be pointed out that a substantial part of the population fails to realize that eating a nutritious meal at lunchtime improves your performance and the rest of your workday, according to the Washington Post. But, instead of concentrating on what experts recommend as healthy alternatives, such as avocados, grains, and fish, many of us insist on healthy-sounding lunch foods that may do you more harm than good. Oh, yum…right? Not so, says GQ Magazine. Wraps have been billed as the healthier option to the sandwich and all that bread. Ironically, many wraps can pack more calories in an attractive package than a personal pan pizza, according to Vice. 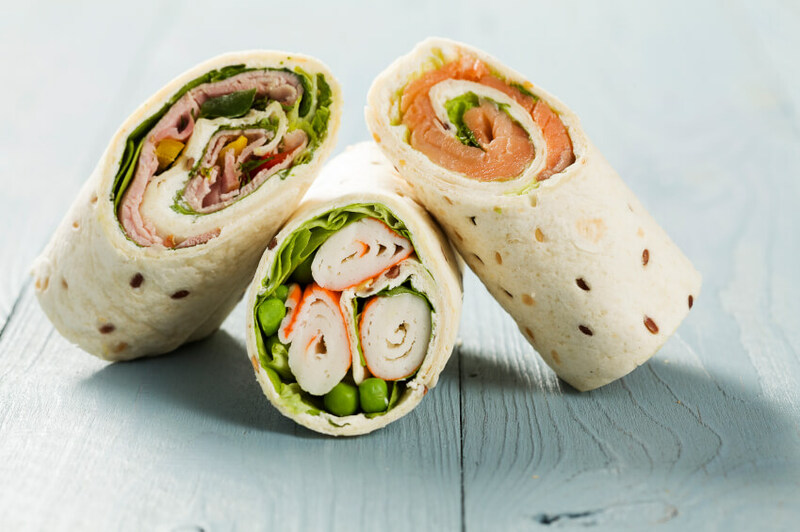 Translation – wraps may also be helping you pack on the pounds as well. 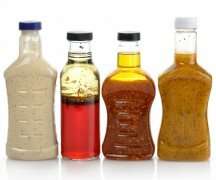 Whether you’re talking bottled salad dressings or the packets you’re dousing over your fast food salad, just because they’re advertised as low-fat or fat-free doesn’t make them better for you. 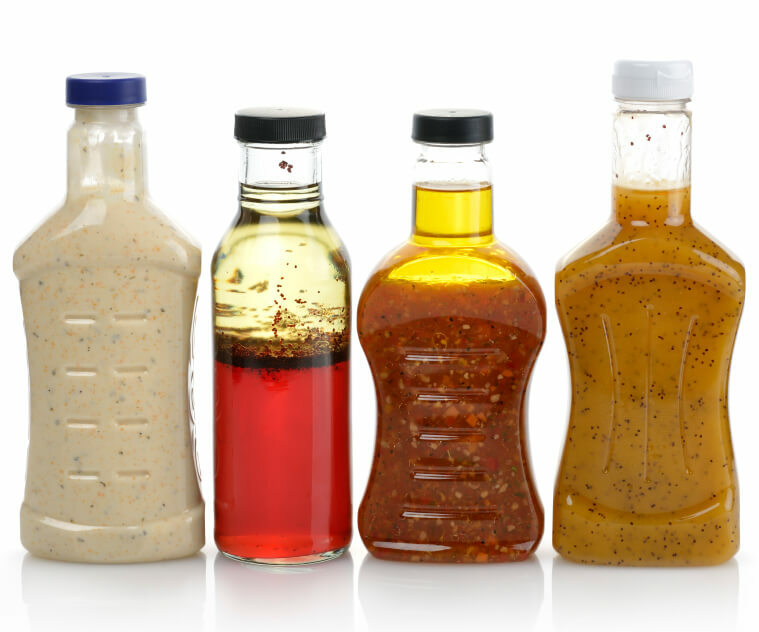 In fact, many of these dressings are full of sugars and other ingredients, while lacking nutrients. According to Marie Claire, you’re much better off with full-fat dressings because they tend to absorb double the amount of nutrients from your greens and tomatoes. 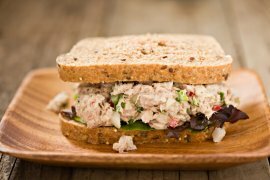 While tuna and chicken by themselves are for the most part healthy, throw in a glob of mayo, mix well, and you’ve got just the opposite. Not only that, you’ve added a bunch of unhealthy calories. For a healthier alternative, use avocado, Greek yogurt or hummus instead of mayo. 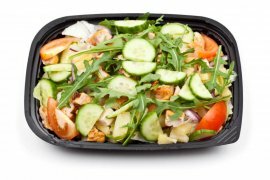 Just because it’s green, doesn’t mean it’s healthy – especially if your prepared salad is covered with heavy dressing, flavored croutons, and cheese. 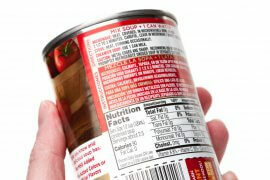 Beware of hidden fats and calories that could be lurking within the lettuce and tomatoes. How can fresh fish and rice not be a healthy choice? Simple – when those rolls have been fried or combined with mayo or cream cheese. The result is a somewhat calorie heavy meal that you thought was healthy. The New York Daily News recommends you consider switching to brown rice and avocado. 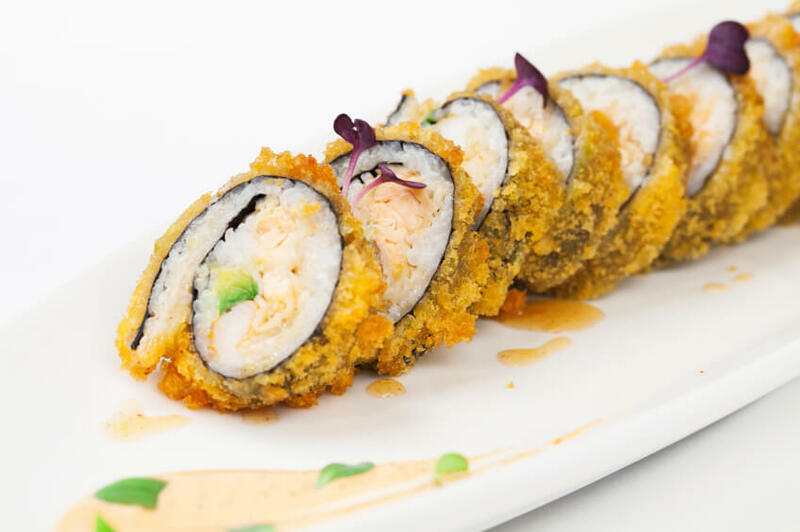 Better yet, forget the roll and opt for straight sushi. It may be a bit more expensive, but it’s healthier. You can’t possibly go wrong with soup, right? The truth is, canned and prepared soups from delis or sandwich places are loaded with high levels of sodium, not to mention, starch and cream. They may taste good on a cold day, but they’re raising your blood pressure with every spoonful. Before you order a “veggie” burger, ask what’s in it. The word “veggie” doesn’t mean it’s healthy for you. Most veggie burgers are processed, empty of nutrients and not that health for you, according to Greatist. 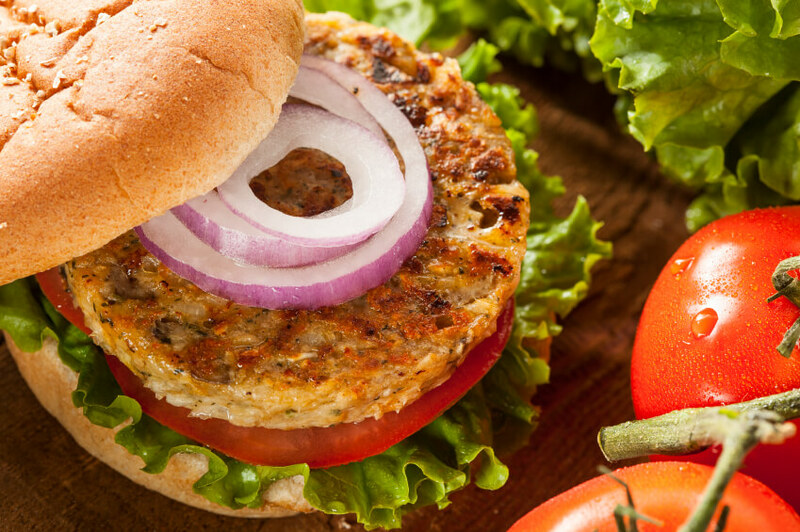 If you’re intent on getting a non-beef burger, knowing its ingredients are real vegetables and whole grains can make it the right choice for a healthy diet. Otherwise, stay away. There’s more to being healthy than knowing what and how you eat. Regular check-ups with your healthcare professional and maintaining your health insurance can be the best preventative medicine.